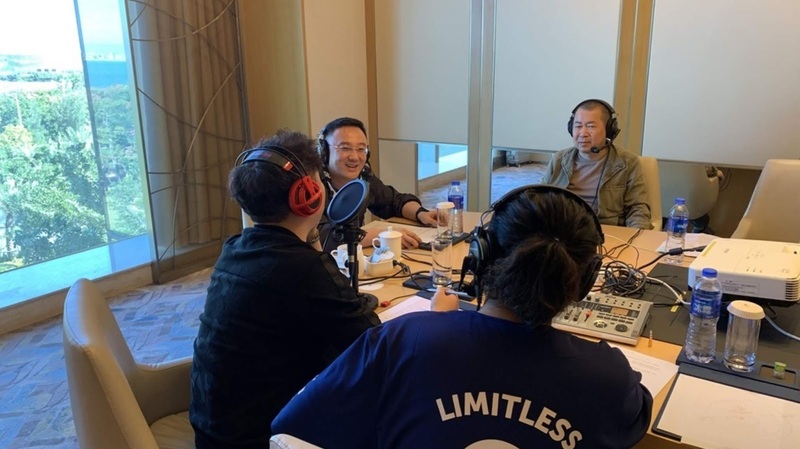 During his visit to China for the G-Fusion event last month, Yu Suzuki carried out a number of interviews including an audio interview for a podcast by GameCores. This post is a sneak-peek of part of the full interview, courtesy once again of yuc02 (who can be found on the Shenmue Dojo forums). In this extract, Yu talks about the origin of the codename for the project, "Project Berkley", and the meaning behind the name of the ship Ryo takes to Hong Kong. Finally, he reveals plans for Shenmue III to incorporate certain content that had been cut from earlier in the story due to constraints. According to a 2001 interview, the name of the cut chapter was to have been "Chapter 2 - The Boat", covering Ryo's journey from Yokosuka to Hong Kong, and was to have involved an encounter with Chai. 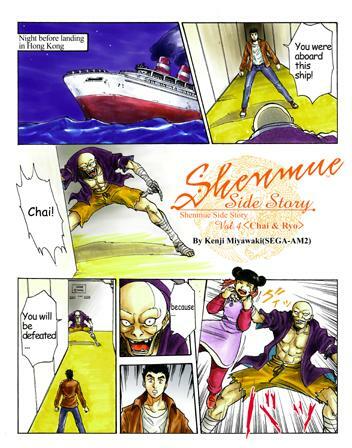 In the end it was scrapped, however it did remain in the form of one of an official Shenmue Side Story manga entitled "Chai & Ryo" that was included with the Xbox version of Shenmue II. First page of the Shenmue Side Story "Chai & Ryo" that was originally intended to be a playable chapter. The interview extract starts below. Q: Let’s talk about Shenmue. 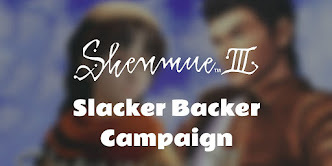 Due to the massive interest in the Shenmue series, you have already revealed many of the stories to other journalists in the past, therefore let's talk a bit in detail about two other things that people haven’t yet mentioned. Firstly, at the beginning the game was given the codename “Project Berkley”, is there any special meaning behind this name? YS: It’s actually like this (laughs). Because we realized at the start that this would be a completely different game to anything else on the market at the time, and its scale was unprecedented, we wanted to keep the project very confidential. Because of this we wanted to give it a very cool sounding name, like something from a spy movie. In Japan there’s this phrase bakkureru* (ばっくれる) meaning to “pretend not to know” or “feign ignorance”, and by coincidence that there is a place in America with a similar sounding name, so we chose this “Project Berkley*” codename. * In Japanese, the word Berkley is pronounced "bākurē", sharing similar sounds to the word "bakkureru". Q: So Berkley* was just a homonym for bakkureru? Q: I didn’t realize that a question that had us puzzled for a long time, had such a simple answer! YS: It was just a codename! Q: There was also a period during development that the game was called Genpūki*; why wasn’t it used in the end? * Genpūki (玄風記) means "Tales of the Mysterious Wind". YS: Actually it was just that we thought the name sounded too normal. We wanted to give this special game a deeper, more artistic name. Q: But you did use the name in the game somewhat, as the ship that took Ryo to Hong Kong was named Genpūmaru*. * Genpūmaru (玄風丸) = The Mysterious Wind ("maru" is a suffix commonly signifying the name of a boat). YS: Indeed. As the first chapter was structured as an open world, in the ensuing chapter on this ship we had a rich variety of different content prepared, including story and other elements. However due to many objective reasons we had to cut out most of this content, but I don’t want to say too much, because in the upcoming game perhaps the players can experience this for themselves. Q: So you mean the deleted “Chapter 2 content” that many people still wonder about will be present in Shenmue 3? YS: (laughs) Yes, please wait in anticipation! This last bombshell regarding content from the previously-cut Chapter 2 is exciting news to hear. Will it be a flashback-style recreation, or massaged into a different form with Ryo's new adventures in Guilin? That remains to be seen, but it would seem likely that Chai will be involved! 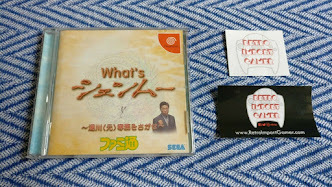 For speculation and discussion on this topic, see this thread over on the Shenmue Dojo forums. 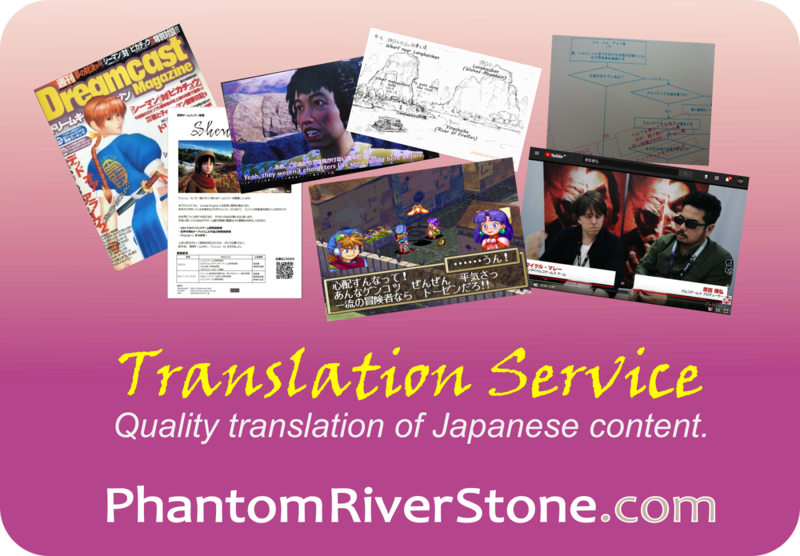 Thanks to yuc02 for the translation! Full interview translation to follow.